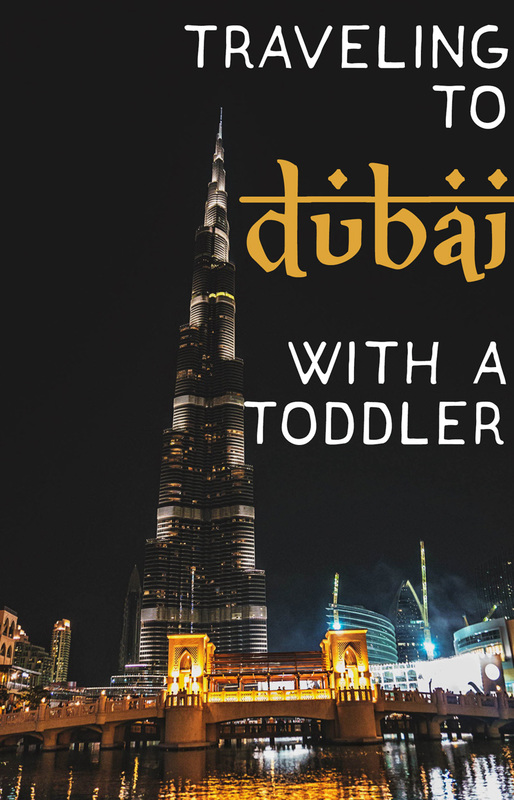 Traveling to Dubai with a baby or toddler! Dubai may not be the first destination that comes to mind for a family vacation. Especially when you’re traveling with a 1 year old! But we like to be adventurous so we took our Ittybot to Dubai and the Maldives in one trip! 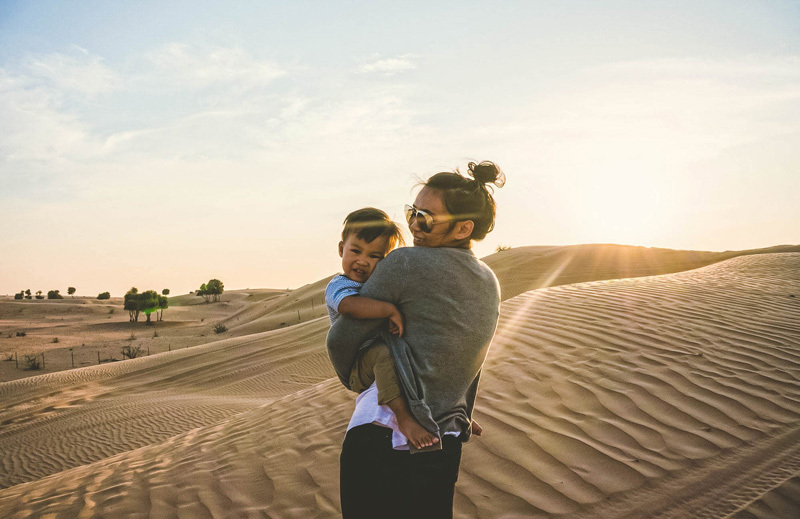 Surprisingly, Dubai is probably one of the most baby friendly cities we have visited! There was so much to do and so much to see for the entire family that our 5 days there seemed way too short. You can get the full Dubai low-down here. So lets get onto the real reason you’re here. 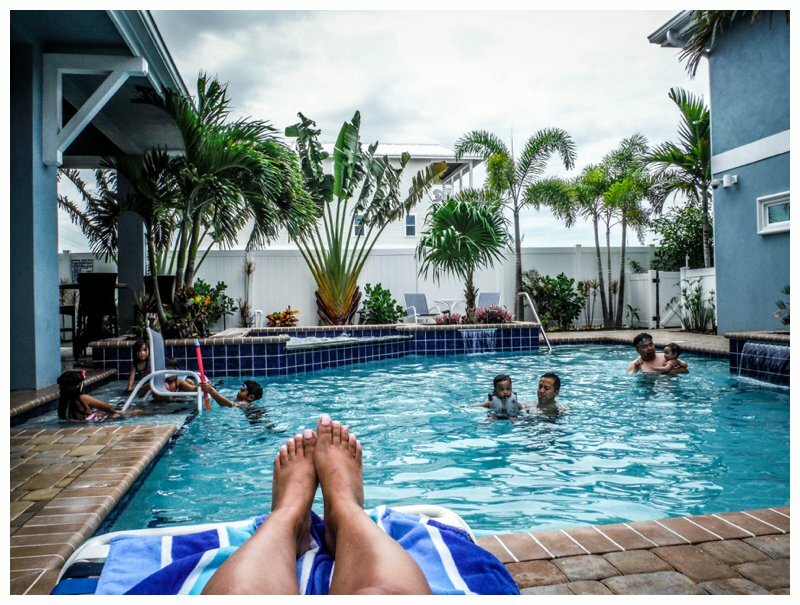 I will break down the main things moms look for in a vacation destination. Stroller friendly – Everything is so far apart that you basically cab everywhere (or you can do the big bus tour like we did) but once you are at your destination, it is fairly stroller friendly. There are usually large crowds of people that you would have to maneuver through but that’s a small problem. Diaper changing stations – This is probably my favorite part of Dubai. Seems silly but when you live in Europe and have to change your baby in a tiny, dirty stall or even in their stroller, a formal changing room is the ultimate luxury. The larger malls have changing rooms that is like a retreat for mothers and their little ones. It’s sprayed with the most amazing light scented perfumes, there are toys for them to play with, the works. At the very minimum, most of the places you would visit have a changing table for you. Except maybe the beach but that’s a given! Activities – We used our Hyatt points and stayed at the amazing Grand Hyatt Dubai. The service and the pools were amazing. We almost didn’t want to leave the hotel at all. The staff was amazing with Ittybot. He was given lots of attention and treats – which was probably his favorite part. There were plenty of activities in Dubai for the little ones. There is even an aquarium within the mall! Finding activities for your family won’t be a problem. Your problem will be narrowing it down to a few! We highly recommend doing a trip to the desert. We did a low-key jeep drive to the desert with little bits of crazy driving through the dunes which Ittybot loved. He also loved the show that the staff put on which included lots of music and performances. Definitely a treat for the entire family! FunTours trip to the Desert in Dubai! Transportation – This is probably my only gripe with Dubai. Carseats aren’t required in Dubai! Much like Thailand, kids are free to roam about the car as they please. There are however, pink taxis that will bring a carseat at your request (but those require a lot of planning ahead and it’s not always available). We did the big bus tour most of the time but the few times we needed to take a cab Ittybot had to sit in between us buckled in SNUG. We only did this for very short rides but it was nerve wracking every single time. I hope this was useful for those planning a trip to Dubai OR for those considering a trip. It was such an amazing trip and we are so excited to show Ittybot the pictures and footage from the trip. Hopefully, it will inspire him to go back on his own one day! 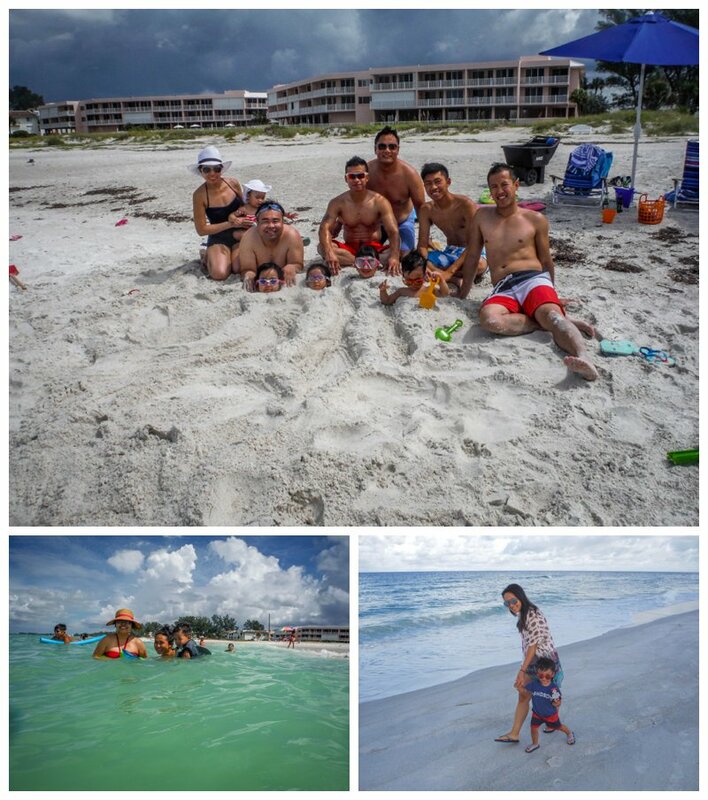 It’s been almost a month since we have gotten back from Florida and I’m just now writing about it. It’s a mixture of jet lag, a little bit of Ittybot sickness, and a lot of denial. I didn’t want the vacation to end! As soon as we landed, we headed straight to Chipotle and Target. They were everything I had been dreaming of for the past 2 years. Ittybot was a big fan of Chipotle – I was a very proud mama at that moment. We spent about 1 hr to 1.5 hrs in Target and spent $200 on who knows what. The true Target experience! The next day, the family arrived at MCO and I couldn’t be more excited. We see our family quite often via Skype (thank goodness for modern technology) but it’s just not the same. I thought Ittybot would be a little startled by their overwhelming excitement to see him but he was probably just as excited as they were! After a quick bite to eat, we headed over to the sprawling 2 building beach house on Anna Maria Island. Per usual, the family chose an amazing home to spend the next 5 days of bonding together. There was a little apprehension about the tropical storm that was heading towards the gulf but after living in Florida for a couple years we weren’t even phased. We knew there would be heavy storms for a couple hrs and the sun would soon shine again. 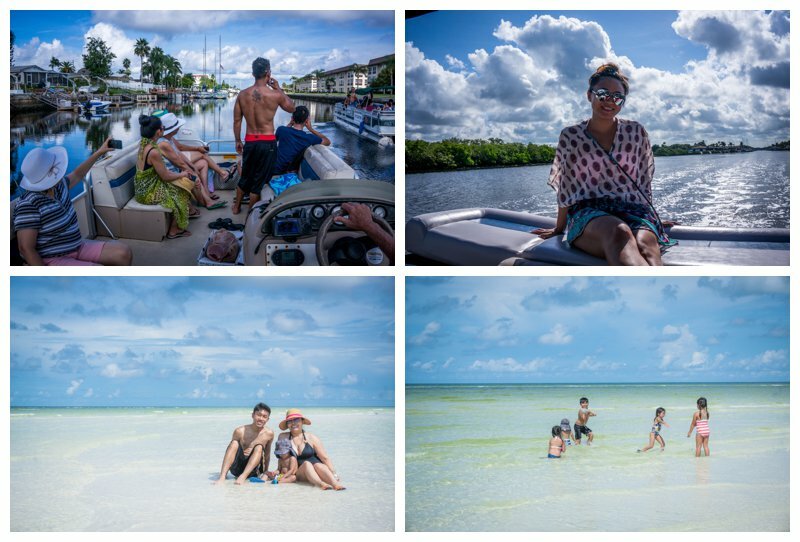 We ended up having an amazing time on the beach, Siesta Key Beach, and we took a couple pontoons over to the Anclote sandbar. And I can’t forget the pool that was situated between the two buildings. That’s where we gathered most of the time – other than the kitchen of course! Speaking of food, the family basically stocked up for the end of days. Let me remind you that we were staying there for 5 days. I’m talking 7 bottles of fish sauce and 5-6 bottles of soy sauce. WHAT!? They like to go overboard on the grocery shopping but I really can’t complain. Amazing home cooked meals fo’ days! 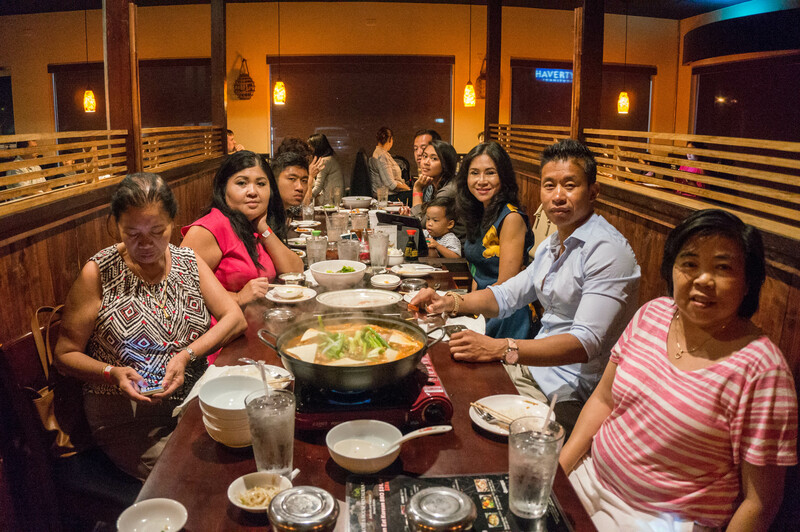 No matter where I have traditional Lao food, nothing beats mama’s home cooked meals. 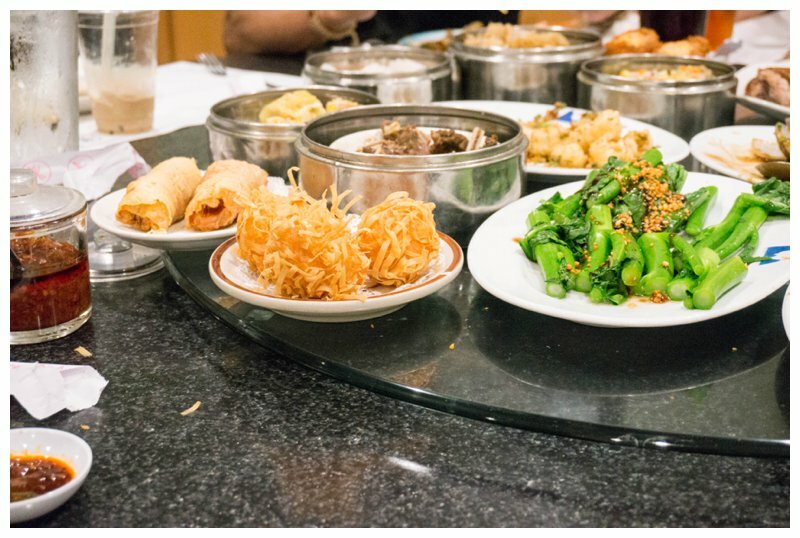 On the days we felt like getting out, we ventured out for some awesome food nearby. 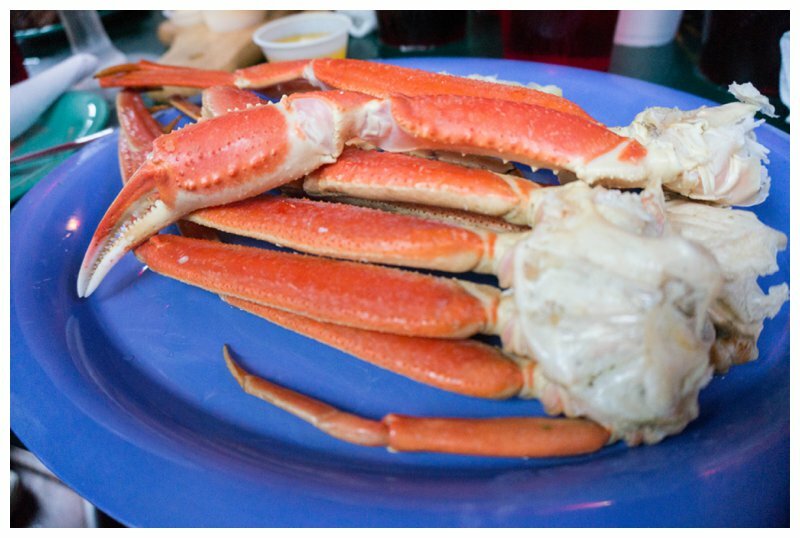 All you can eat crab legs at Cooter’s in Clearwater Beach. 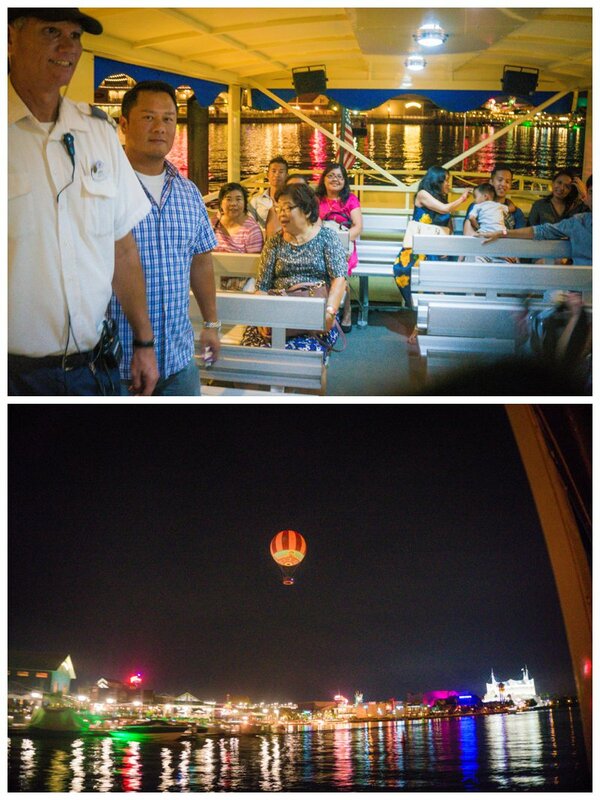 We spent their remaining couple days in Orlando; where we did Downtown Disney, Outlet Malls, and even more pool time. We loved watching Ittybot interact with his cousins. He absolutely adores them. Makes me sad that he can’t see them more often. We had such a large group they gave us our own boat. That’s how we roll. After the family left, we had an extra week in Orlando to meet up with friends and do lots, I mean LOTS, of shopping. It is my favorite past time after all. We ended up having to pick up another luggage to bring all my new goodies home. And it was well worth it! We stayed at the Marriott Vacation Club and I don’t know why we haven’t taken advantage of them sooner! There was a kitchen and laundry machines in the room for us to utilize and being a small family, it helped us out tremendously! There was a small grocery store on site where we could pick up milk, drinks, and snacks. The boys enjoyed the arcade and the many, many pools on the grounds. We definitely would stay with them again whenever possible! 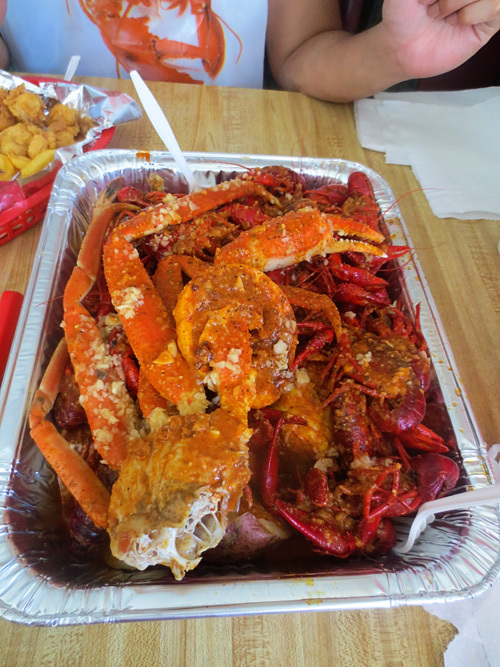 Our friends brought us to King Cajun Crawfish and oh my goodness it was SO amazing. So good we had to go back again before we left. Spicy and messy is the only way to go and they delivered! Could go back again and again! We had such a good time back in the states that we booked tickets back before we even left. It does help that there was an amazing deal that fell on our lap and we had to jump on it. I tried to keep this blog post as brief as possible because the vlogs basically say it all. Check out the playlist below! !